Are You An Electrician Planning To Move To Columbus Ohio? “A house divided cannot stand” famous words said by Abraham Lincoln; While this was intended to unite a country and it’s government, basically stating that internal conflicts can only weaken a nation, this can be applied to many things. 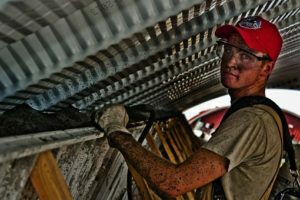 The notion of viewing your co-workers as competitors, doing your best to be on top may be one way of securing yourself a good and secure salary as a qualified electrician but this harms the unity of the workforce, the productivity of the overall company, and causes and imbalance in wages and overall sense of unfairness. There is nothing wrong with a little healthy competition, but when it comes to securing a healthy environment, and fair wages, we cannot treat things like a game. International Brotherhood of Electrical Workers or IBEW eliminate this problem by uniting workers into a group that works together. We advocate for more young electricians joining the Union as it helps to secure the stability of earning potential and rather than tearing each other to shreds competing they are free to work the best they can with less to worry. A union’s job is to take over the more complicated parts of being employed as an electrician, such as negotiating for better salaries, work conditions, and incentives for the workers as a whole, securing the best deal for their contracts every year. While at the same time each and every voice of the workers in the union is heard, through a democratic process, so no one is left behind. Unions are run by elected officers taken from the members of their organization, making the thought of a disconnect from the true condition and thoughts of the common worker improbable. Each officer is a member of the union, and each member of the union is a worker, workers who know what the life of an everyday Joe feels like, and knows what they truly need from their employers. These unions also handle a more complex case, such as legal actions against unfair treatment of workers and wages. Though this is a bit complex to talk about here, I can assure you that you are taken care of when it comes to cases like these when you are a member of a union. For electricians thinking of joining a union it might seem like a big step, and it is, but it is a big step in the right direction. Your concerns will be heard, your needs are taken into consideration in every meeting, and when the time comes for you to renegotiate your contract comes, you can bet that your renewed contracts will only get better. When you think about it clearly, joining a union such as IBEW isn’t just for you and your family; it is for the sake of every worker out there. Those who are not yet part of a union experience a lot of disadvantages, and companies that find them take them in for the sake of paying lower wages, preferring them over union members. If we all unionize, there will be no choice for companies but pay better wages and give the best working environment fit for everyone. Unionizing may be a choice, but it is also a responsibility that everyone should consider being part of. Learn more about the great benefits of International Brotherhood of Electrical Workers on their official website.